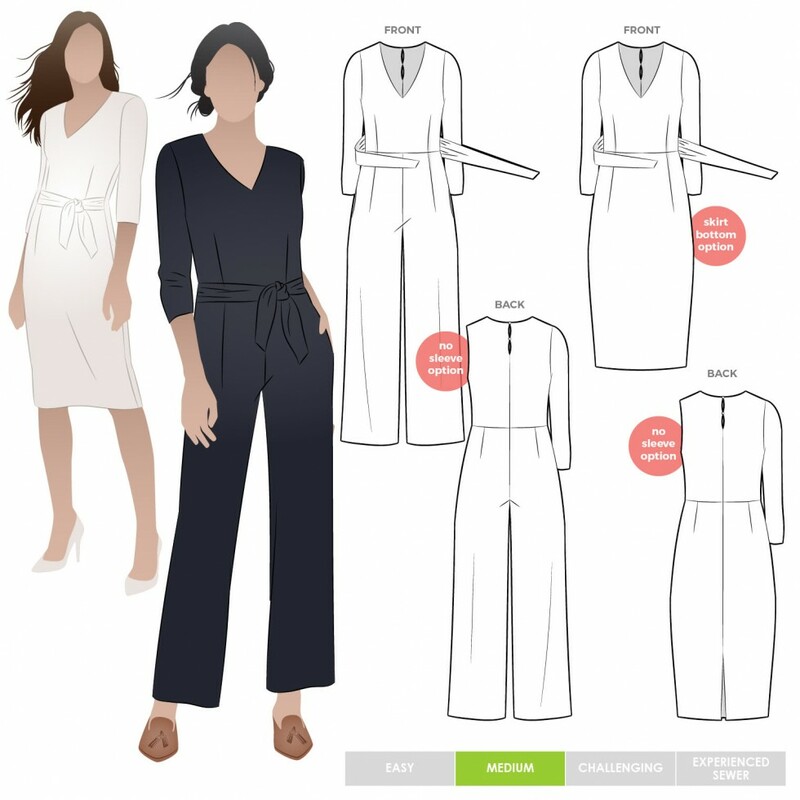 Boardroom to bar, work or weekend, this versatile jumpsuit sewing pattern comes with pants or skirt and can be made with sleeves or sleeveless. This understated style has a V neck, tie belt and it is fitted to a comfortable and flattering silhouette. The of the moment wide leg sits on the ankle. The skirt is a pencil shape and sits just below the knee. Make it with 3/4 sleeves or for warmer days it works well sleeveless. These are multi sized nested patterns printed on 60gsm paper. There are two size ranges available for each pattern. Seam allowances are included. Please note, Style Arc sewing patterns come with limited instructions and assume some sewing and pattern knowledge.